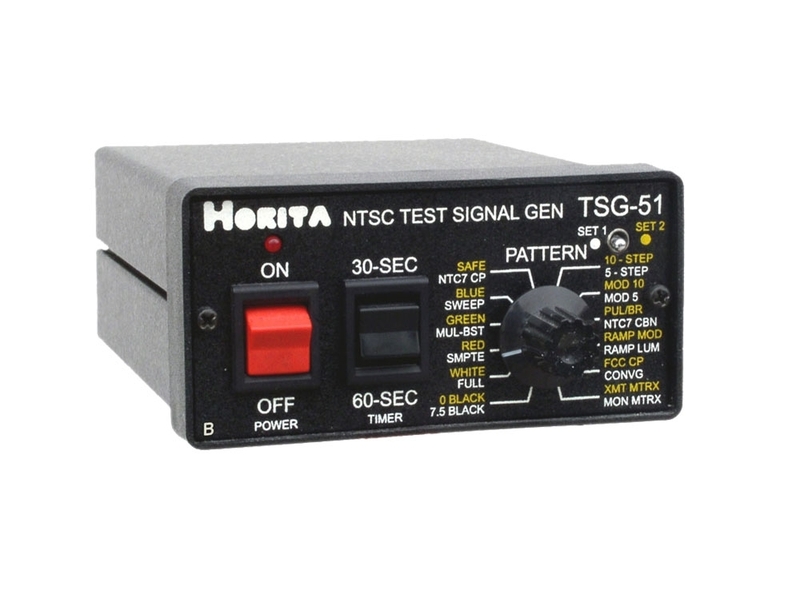 The TSG-51B provides an economical means of obtaining high quality SD NTSC RS-170A composite video test and alignment signals and patterns. The TSG-51B generates twenty four computer calculated and digitally synthesized test signals, including blackburst, SMPTE color bars, frequency sweep, NTC-7 composite and others. The TSG-51B also provides a 1KHz/400hZ audio tone output plus other optional user selectable signals. 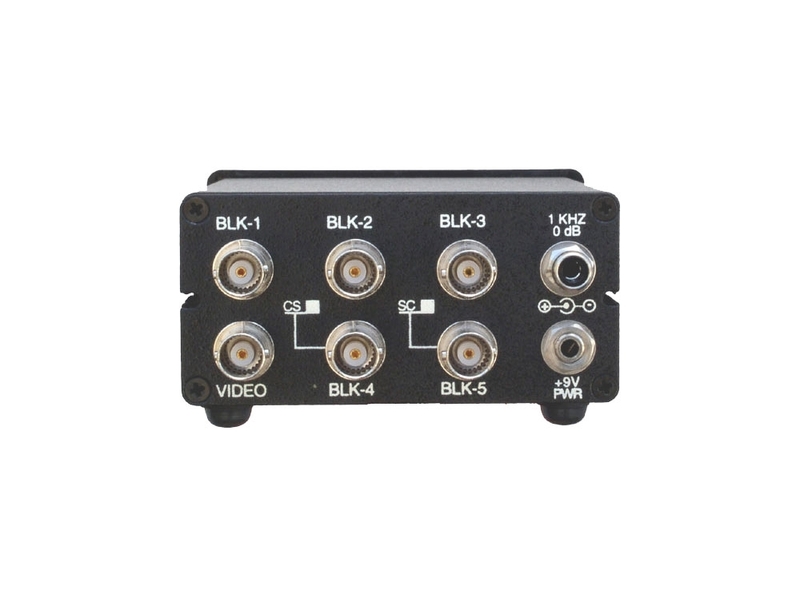 5 additional outputs which may be configured for all blackburst or in various combinations with sync and subcarrier. Up to 7 black/subcarrier outputs provided on Rackmount and Short Rack models.